Being Persistent To Understand Everything About Making Movies Is Important To Your Success! Today's selection -- from Power House by James Andrew Miller. How Do I Bring My Own Take to an Already-Written Character? 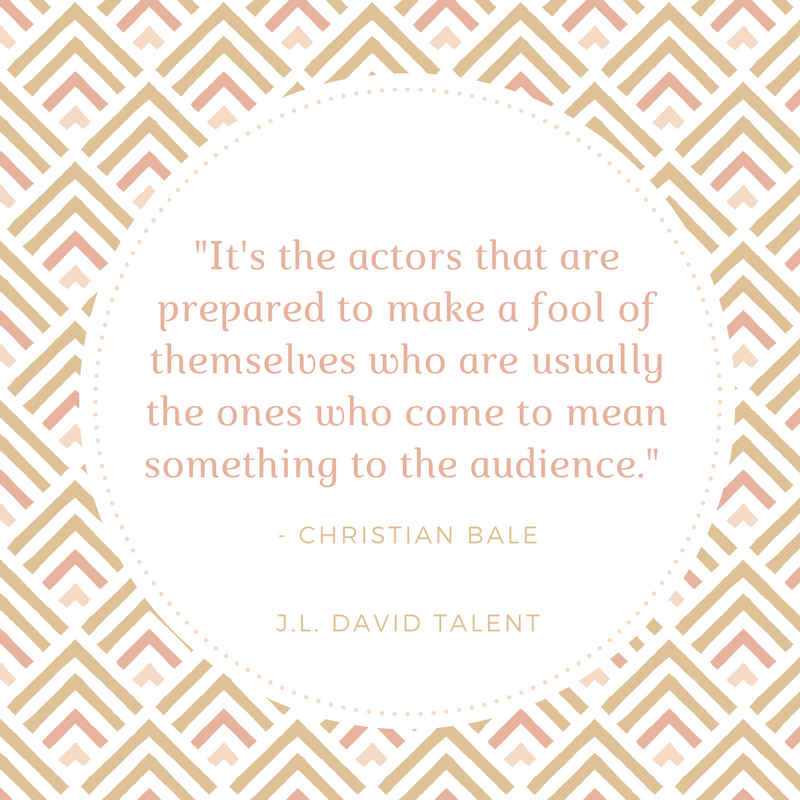 The more empathic and curious an actor can be, the more interested she is in learning about others, which will make it easier for her to bring her own take to a character. As a talent agent in Nashville, TN. it is important that every creative professional I work with here in Music City, USA understand at least this one truth: They hold the future successes of their careers in their very own hands. The entertainment business is not for everyone. Many talented individual never progress or see success because they refuse to commit 110%. Obtaining a career in entertainment is no different than any other career, skill or trade. We all start at the bottom and... well...that means there IS a ladder to climb if we want to reach the top. I have selected a few of the most truthful revelations, spoken by the well known actors themselves that have climbed the same ladder. The following words will certainly encourage some, but may they ignite a spark in all! Because without a spark no one will ever experience a flame. This article was written by Jenn David, President of J.L. David Talent, located in Nashville, TN. 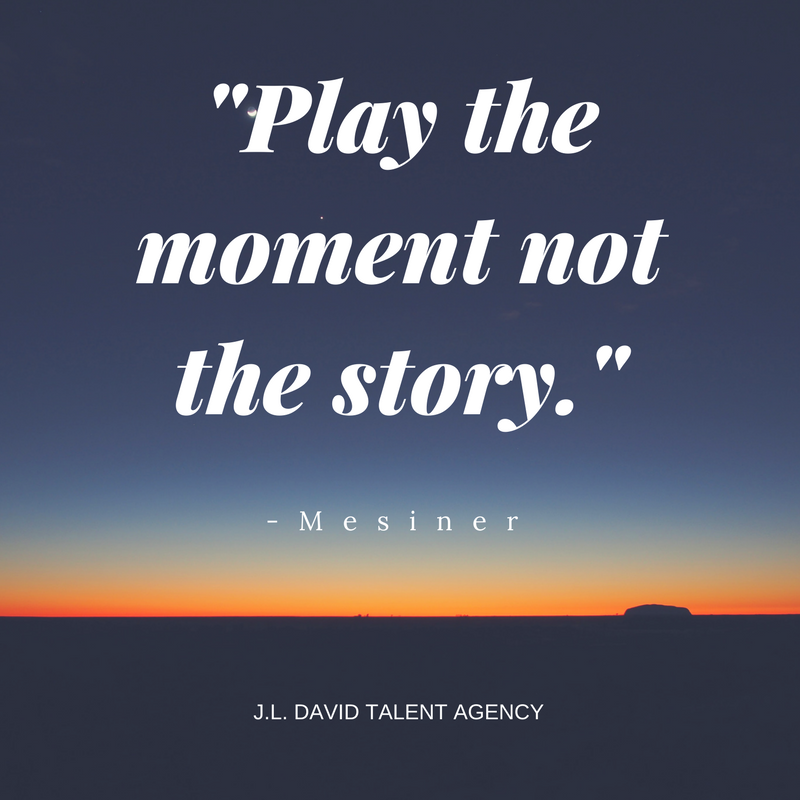 J.L David Talent is one of Nashville's top talent agencies. Working to make it as an actor, and by "make it" I literally just mean booking enough jobs consistently to actually be able to pay bills, can seem like quite the challenge for those learning how to become an actor. Having a talent resume is one, of three, CRUCIAL steps for any talent to get started in the business. You will staple your resume directly to the back of your 8x10 head shot when attending castings, auditions and/or mailing submissions to agencies and managers. What Does A Talent Agent Actually Do? Your talent agent is spending the majority of their time on the phone or contacting employers and potential clients online. Talent agents are constantly trying to come up with new and innovative ways to accomplish their goals and the goals of the talent they represent. Four Things Talent Should Understand From The Beginning. To work as a professional creative artist in the entertainment industry, whether as an actor, dancer, singer, musician, all of the above, and really any entertainment professional for that matter, the rule still applies.